Will patriotism trump hatred of Hillary? The 2016 Presidential Election has perhaps been most notable for the fact that it features two of the most unpopular Presidential candidates in living memory. In recent polling by Gallup, presumptive Republican nominee Donald Trump was found to have a net favourability rating of minus 31 per cent. Presumptive Democratic nominee Hillary Clinton didn’t fare much better with a net favourability rating of minus sixteen per cent. Ultimately though, despite their unpopularity, either Trump or Hillary will win the election and become the next President of the United States. When Donald Trump first began his run for the Presidency, few commentators (myself included) gave him much of a chance. However, given the unpopularity of Hillary, he surely has to be considered to have a relatively strong chance of success in November’s election. One of Trump’s difficulties for a long while was his failure to gain the endorsements of senior members of the Republican Party. Contrast this with Hillary who was able to secure a vast majority of the super-delegates on offer during the Democratic Party’s nominating process. The support of super-delegates tends to be a strong barometer of a candidate’s levels of support amongst the party leadership, and securing the support of senior members of the party is absolutely vital when it comes to unifying the party after what is often a bruising primary campaign. The last couple of weeks have been notable for Trump in that he has finally begun to gain endorsements from some of the most senior members of the Republican Party. 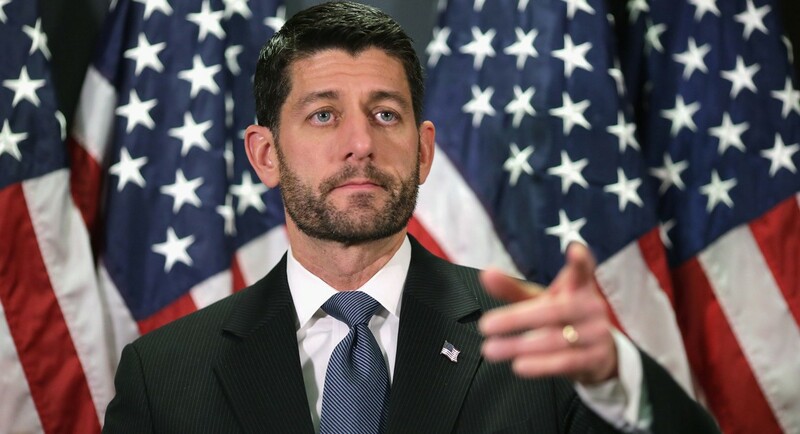 Speaker of the House, Paul Ryan (Getty Images). On 2 June, Speaker of the House of Representatives and 2012 Vice-Presidential nominee, Paul Ryan, finally endorsed Trump, after holding off for months. However, rather than actual support for Trump, it may be the case that Ryan has decided that with Trump as the nominee there is such a danger of losing the House and the Senate, that the Republican leadership’s only choice is to unite the party’s nominee and make the best of the situation that they find themselves in. Perhaps even more notable than the endorsement of Paul Ryan, on Tuesday John McCain endorsed Trump. Remember that in June, Trump said this about McCain: “He’s not a war hero. He’s a war hero because he was captured? I like people who weren’t captured.” Therefore, McCain now deciding to back Trump is a remarkable about face. But perhaps it represents the difficult situation most Republicans find themselves in. If they endorse Trump then they’re seen as endorsing the repugnant views he has put forward about Mexicans and Muslims, among other things. Yet if they choose not to endorse him, then they are seen as going against the democratic will of their party members. In the United States, a country which prides itself upon being the bastion of democracy, the second option can be far worse for most politicians. Effectively, when it comes to endorsing Trump, they’re damned if they do and damned if they don’t. In the case of McCain, he is facing a tough battle to retain his seat in the Senate in Arizona. 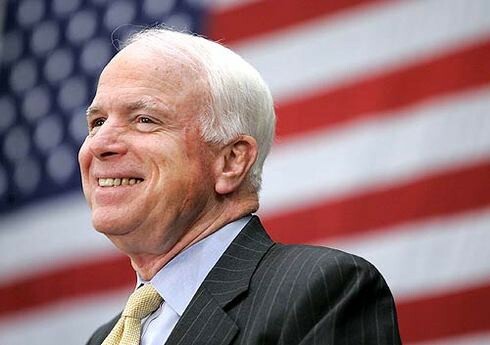 McCain faces a tough primary opponent, a candidate associated with the Tea Party, whilst polling suggests he is in a virtual tie with the Democratic nominee for his seat, Ann Kirkpatrick. Therefore, perhaps McCain’s change of heart is understandable. He needs to have Trump’s support is order for his help in campaigning for his Senate seat. The worst that could have happened in McCain’s eyes is that Trump could have endorsed McCain’s primary opponent. But McCain’s hope will be that his endorsement of Trump will lead to Trump campaigning for him in Arizona. Indeed, Trump has announced that he will be making a campaign stop in Arizona in the near future, where he will undoubtedly endorse McCain to continue as Senator. It seems that it is this need to unite the Republican Party which is forcing prominent Republicans to endorse Trump, despite the fact that they disagree with him on so many issues. Senator John McCain (Photo: Mark Poster / Los Angeles Times; Associated Press; Cafe Press.com). However, that hasn’t stopped some prominent Republicans from doing their best to disavow the views of Trump. This is perhaps the key point, the suggestion that prominent Republicans are only endorsing Trump because of their wish not to be seen as supporting Hillary Clinton. Paul Ryan has also criticised Trump in recent days for the comments that he made regarding Judge Gonzalo Curiel, whom Donald Trump said was unfit to preside over a case because of his Hispanic ethnicity. Ryan said of these comments: “Saying someone can’t do their job because of their race is sort of the textbook definition of racist comments. I think that should be absolutely disavowed.” Does this perhaps suggest that the tide is turning and that senior Republicans will now rescind their endorsements of Trump as the begin to truly realise how bad a Trump presidency could be for the United States? Because one thing about Republicans is this. Yes, they hate Hillary Clinton with a passion, and the last thing in the world that they want is another Clinton Presidency. However, Republicans are always characterised by their fierce patriotism and love for America. Therefore, is there perhaps a chance that they will decide that a Hillary Clinton presidency would be more palatable than a Donald Trump presidency. Whether or not prominent Republicans rescind their endorsements, it surely has to be said that Hillary has a good chance of being handed the presidency on a plate by virtue of Trump’s unpopularity, both nationally and within his own party. Winning presidential elections in a country as large as the United States requires the full party machine, and if the rest of the Republican Party are not so keen on a Trump presidency, then this would leave Trump at a significant disadvantage when it comes to campaigning for the election. It will be interesting to see whether the Republican Party convention features senior Republicans actually endorsing Trump’s policy ideas. I would bet that it won’t, and that Republicans will nominally support Trump but are unlikely to actively campaign for him to become President of the United States of America. Trump’s serious unpopularity is a real boon for Hillary Clinton. Ordinarily, a politician with a net favourability rating of minus sixteen per cent would have no chance at all in a Presidential Election. However, this election is different. Trump’s severe unpopularity, coupled with the rising approval rating of Barack Obama, now at 51 per cent, gives Hillary a fantastic chance of winning the Presidency at a canter. My view is that Trump is going to seriously struggle to win the Presidency. His comments on Hispanics will not have done him any favours in states with high Hispanic populations, such as Florida and New Mexico, both of which he could lose. Whilst his other controversial comments have not gone down well with the independents who ultimately decide the election. Surely, Hillary can rely on the lion’s share of independents casting their ballots in her favour. Trump will regret not properly trying the unite the Republican Party earlier on in the campaign, as well as his failure to tone down his oft racist rhetoric. These two failures could combine to cost him the election. It is rare that someone with an approval rating as low as Hillary’s could become President. If the Republican Party had elected a candidate who had the potential to gain the votes of independents and Hispanic voters, perhaps Marco Rubio, Jeb Bush, or John Kasich, then a Presidential race against Hillary would have been the best chance they’ve had of winning the Presidency in some time. However, the Republican Party’s decision to pick Trump will be shown to have confined them to the political scrapheap, at least in terms of the Presidency, for the foreseeable future. Overall, patriotism will trump the United States’ dislike of Hillary Clinton. However much the American people dislike Hillary Clinton, they surely understand that she is the only person remaining in the race who is even remotely qualified to be President of the United States of America. A Trump presidency would result in the United States regressing on many different levels, and it would weaken the United States relations with their allies abroad. Something which could be disastrous given current world events. The American people will recognise the issues that will be inherent in a Trump presidency, and this recognition will result in Trump being rejected at the ballot box. The American people are fiercely patriotic, and this patriotism will hand Hillary Clinton the presidency. Ultimately, Hillary will win at a canter. Author jameswrigleyblogPosted on June 8, 2016 August 28, 2016 Categories Election 2016, US PoliticsTags America, Barack Obama, Democratic Party, Democrats, Donald Trump, Hillary Clinton, Paul Ryan, Politics, Presidential Race, Republican Party, United States, US Politics, USALeave a comment on Will patriotism trump hatred of Hillary?